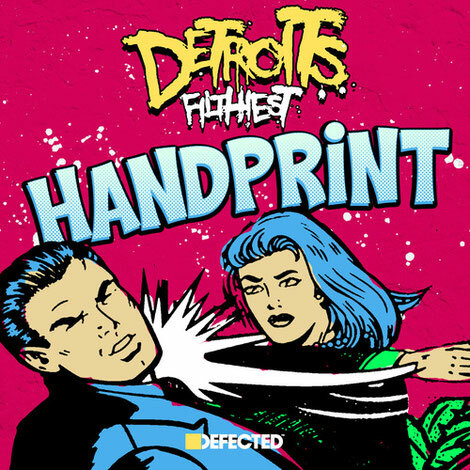 Possibly one of the most diligent underground DJs from the ranks of Detroit, whose style has bubbled up from the underground to become popular by the house scene’s tastemakers, Detroit’s Filthiest stays true to name with his debut for track for Defected. Since he was sampled by Disclosure on ‘Bang That’, Detroit’s Filthiest’s abilities have really resonated. The pounding 4/4 beat is infectious and the sass-laden vocal hook is hard to forget after being blasted out relentlessly throughout the year. Defected draft in the skills of Belgium’s Aeroplane for this 12” vinyl package, delivering a melodic electro-influenced track, shining a whole new light on Amina Ya Heard’s vocal attitude. The 12” comes equipped with instrumental versions of the original and Aeroplane’s remix, plus the Accapella and it’s out on Defected on 12 January 2018.